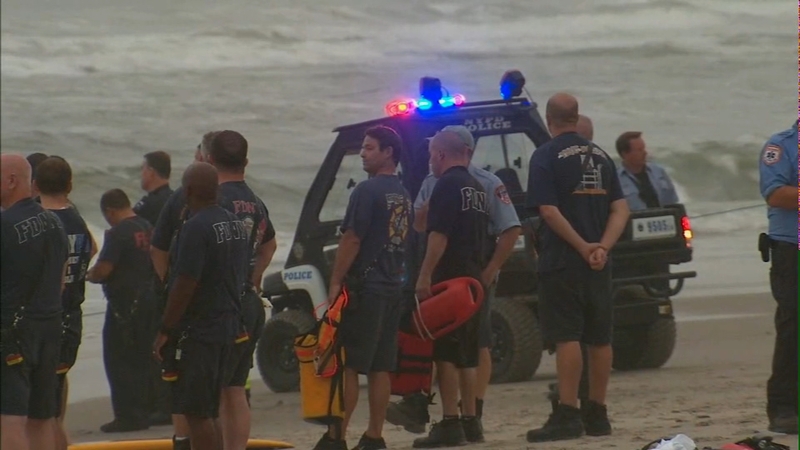 ROCKAWAY BEACH, Queens (WABC) -- A body was recovered Friday morning following an extensive search-and-rescue mission for a missing swimmer at Rockaway Beach, Queens. The body was discovered at Beach 117th Street. The NYPD and FDNY initiated the rescue effort Wednesday evening after receiving a 911 call. The NYPD deployed their air and sea rescue team, with two choppers circling the area. The choppers dropped two divers into the ocean who came up empty. A witness told Eyewitness News he saw a man breast stroking, his head bobbing in and out of the water, frantically screaming and waving for help. The witness says he tried to swim to him, but when he disappeared underwater he called 911.